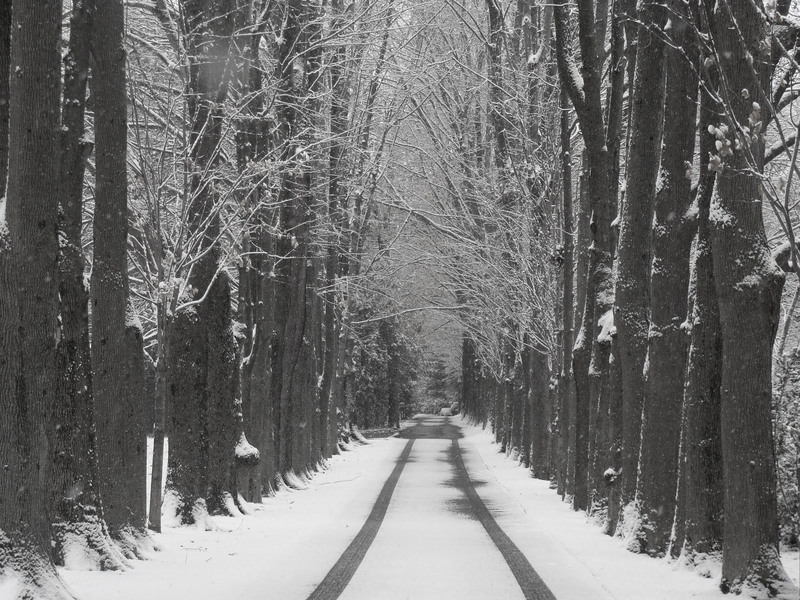 Our first snow fall gave us a beautiful early morning scene. When taking photos of nature’s work it is always best to take advantage of the moment. In this case, the sun came out in an hour and all the snow was gone. Sometimes nature gives you a little extra pleasure for your trouble. 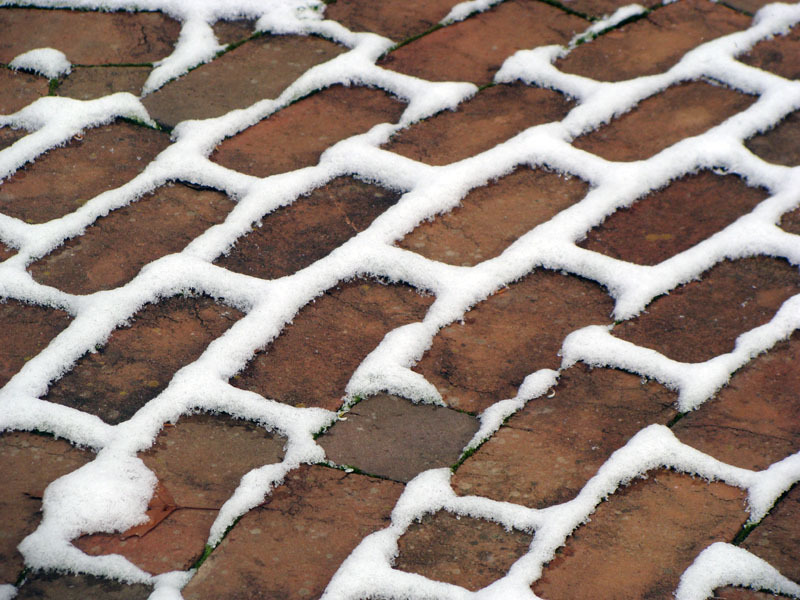 As the sun melted the snow I thought it was just lovely how the snow clung to the moss between the bricks. 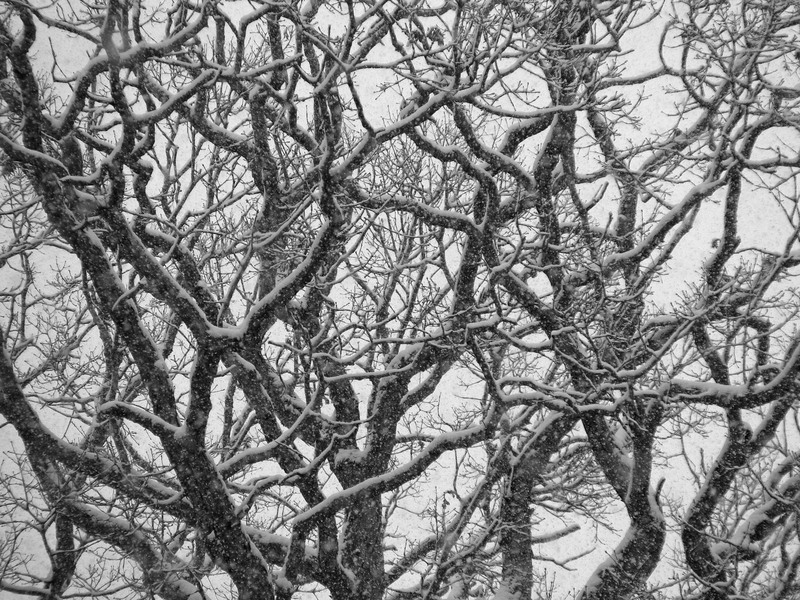 The branches of the big oak tree looked wild with all the snow clinging to their limbs. So your little lesson here is, strike while the iron is hot, or cold!